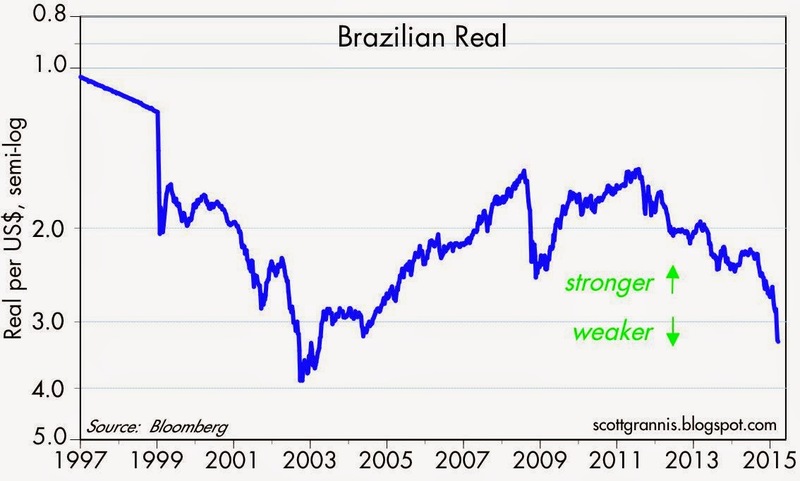 Investing in Brazil is like making a leveraged bet on a weaker dollar and higher commodity prices. It's produced massive losses for the past four years. 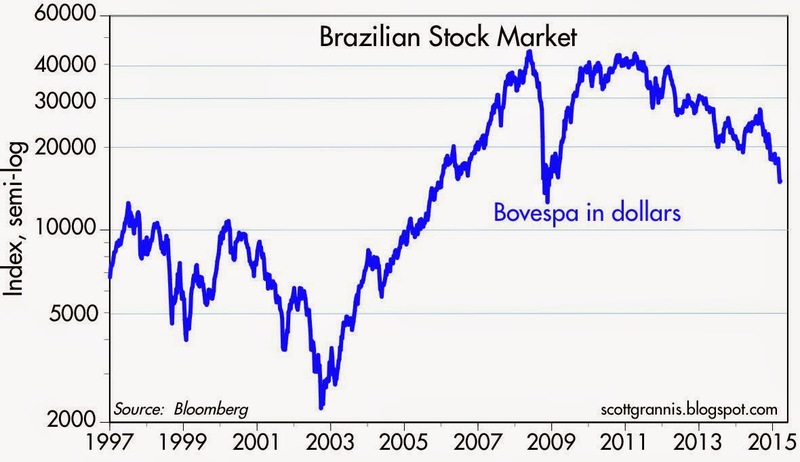 In dollar terms, the Brazilian stock market has collapsed—down by some 65% since mid-2011. Values are approaching the lows that occurred at the height of the 2008 financial crisis. A big factor in the decline of the stock market is the collapse of the Brazilian real, which has lost about half its value since mid-2011. 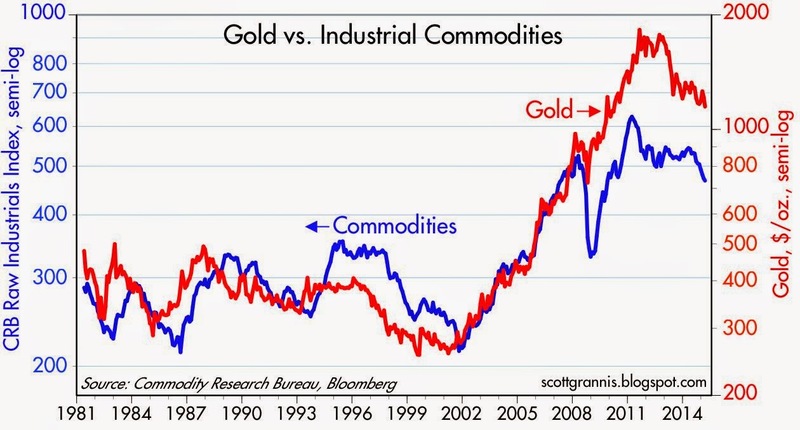 The weakness in the Brazilian currency tracks the weakness in gold and commodity prices, both of which have been falling since 2011. 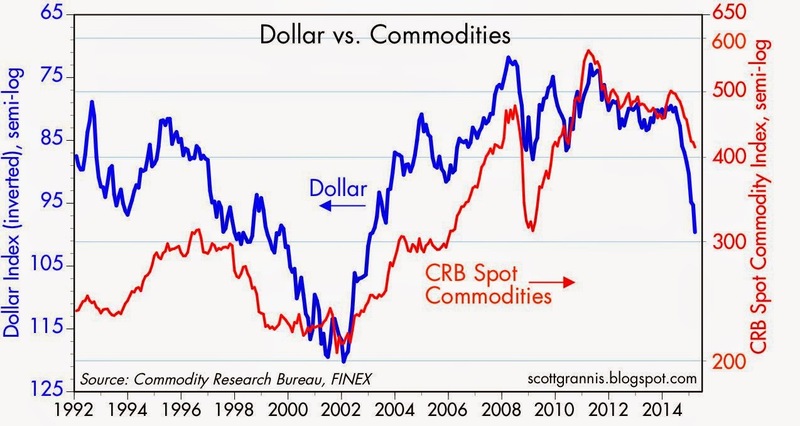 Likewise, the decline in commodity prices has tracked the strength of the dollar. I'm not yet ready to try catching this falling knife, but Brazil is getting cheap and potentially very attractive—though it's not for the faint of heart. Don't buy a falling market; Don't sell a rising market. Sooner or later, every Latin American nation is a bust. Wait for the bust.